Leonard Arrington is considered by many the foremost twentieth-century historian of Mormonism. He played a key role in establishing the Western History Association and the Mormon History Association, and more than a half-century after its publication, his revised doctoral dissertation, Great Basin Kingdom: An Economic History of the Latter-day Saints 1830-1900, remains a standard. But Arringtonâs career was not without controversy. 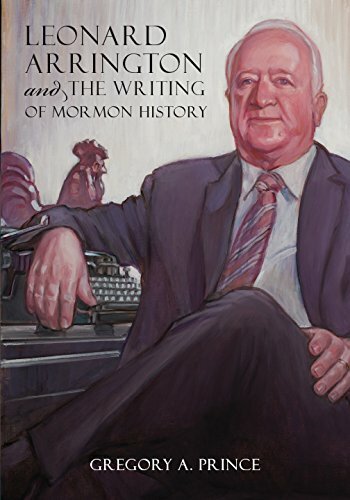 Gregory Prince takes an in-depth look at this respected historian and, in telling Arringtonâs story, gives readers insight into the workings of the LDS Church in the late twentieth century. In 1972, during a major reorganization of the LDS Church, Arrington was asked to serve as the official church historian, thereby becoming the firstâand thus far the onlyâprofessional historian to hold that title. He immediately set out to professionalize the entire Church History Division and open its extensive archives to scholarly researching. While the output of and from that division moved Mormon studies to a new level, the shift of historiography from faith promotion ecclesiastical, to scholarly and professional research and analysis was unacceptable to a handful of powerful senior apostles. In 1980 the History Division was disassembled and moved to Brigham Young University. That led to a shift in the professionalization of the Church History Division and Archives and in Arringtonâs career but not to a loss of his broad influence. About: Copublished with the Tanner Trust Fund, J.